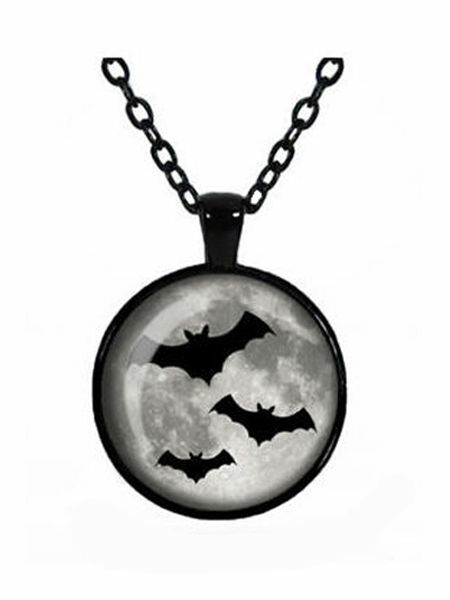 A glass cabochon cameo necklace featuring a black and grey image of three flying bats silhouetted against a night sky. 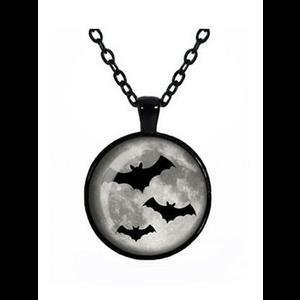 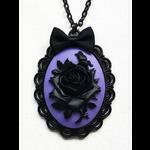 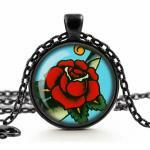 The cameo is set in a black circular metal frame and comes on an 18" (46cm) black link chain. 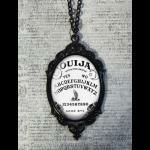 The necklace is water resistant but not waterproof. 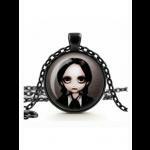 Please do not submerge in water or expose to perfumes or chemicals.